It's easy to give kids healthy, farm-fresh snacks like pizza, taquitos and fish sticks. 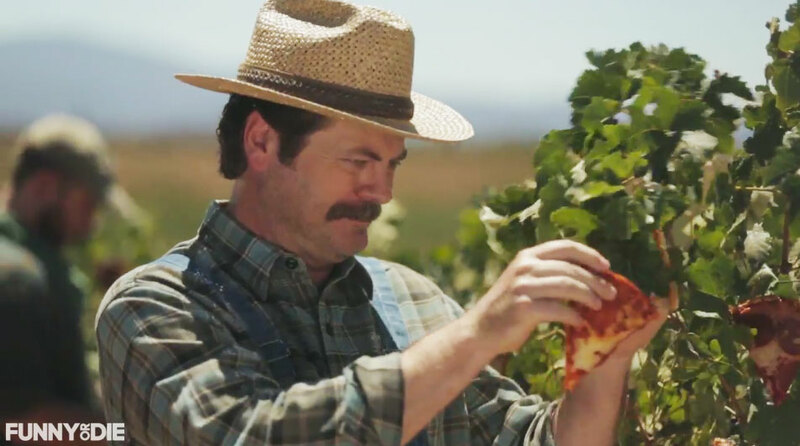 Just grab them straight from the vine at Nick Offerman's pizza farm. The actor gives you a tour of the agricultural marvel in this amusing video from Funny or Die. Those sloppy joes, in particular, look earthy and crunchy—literally so. The whole thing, of course, is a parody. It's aimed at getting the public to pressure Congress to re-authorize the Healthy, Hunger-Free Kids Act of 2010, which set strong nutrition standards for schools and after decades of meals loaded with sugar, fat and salt.